Carl graduated from Southern Illinois University Carbondale in 2011 with a B.S. in Architectural Studies. After gaining experience at architecture firms in Illinois, his design career brought him to California where he worked on high-end modular residential projects. 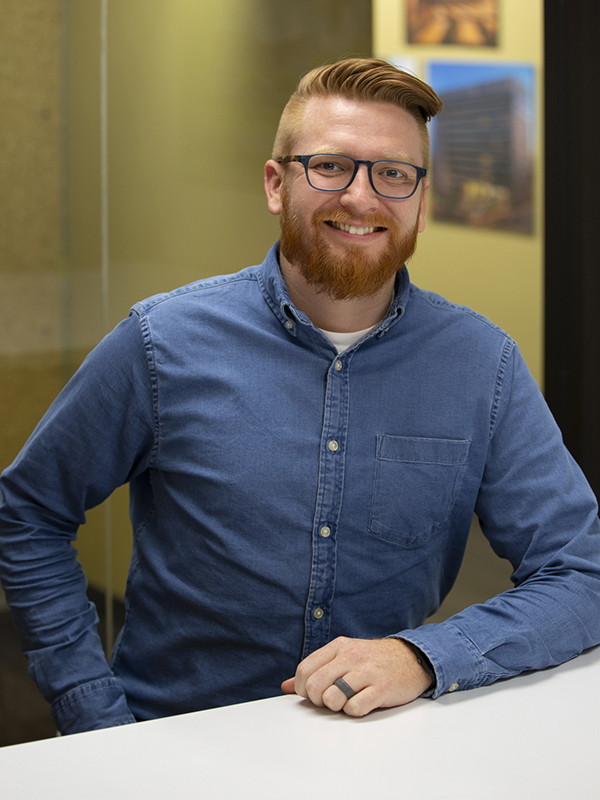 Looking to expand his architectural experience and be closer to family, Carl moved back to the Midwest and started at Dimension IV Madison Design Group. Carl is passionate about sustainable building practices; he has achieved LEED Green Associate credential and embraces a “cradle to cradle” philosophy which often compliments his design values of structural, functional, and material honesty. Carl has completed his IDP hours and is currently testing for his architectural license in Wisconsin. In his free time, Carl is an active musician. He plays guitar, piano and sings. He enjoys walking with his dog Lennon, and taking weekend trips to the lake with his family.